The Coupon Centsation: Dozens of FREE Weight Watchers Cookbooks! 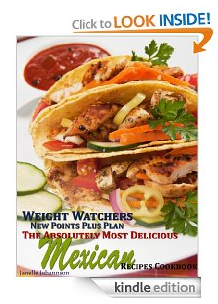 Dozens of FREE Weight Watchers Cookbooks! If you are on or about to start the Weight Watcher's Diet this deal is for you! Right now you can score dozens of FREE eCookbooks based on the Weight Watcher's Points system. The regular price of these books are normally $4.97 so grab them while they are free!